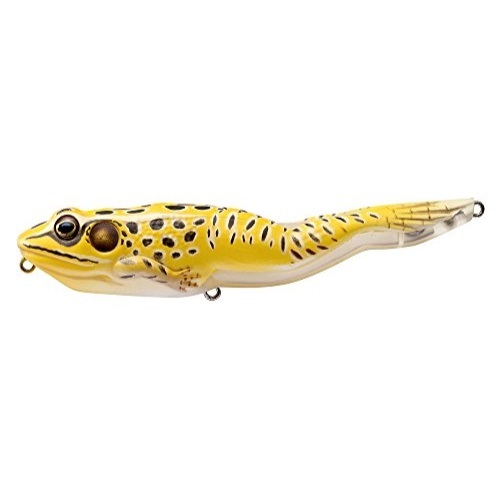 The Koppers Walking Frog Bait 58 ounches is yellow and black. This unique and innovative design is the first hard topwater bait to truly resemble a frog. The intricate details of this lure make it extremely realistic. The Live Target Walking Frog walks the dog like no other and gives fish something they havent seen before. The Walking Frog also comes with Diiachi super sharp trebles to increase hook ups.